“I had been at Queens College for a couple of years and I was sort of struggling and scrambling a bit. I ended up leaving school to work in clubs as a singer. It was really difficult. I didn’t know anyone. But one thing led to the next and I ended up working for the Crystals and the Marvelettes. In the Marvelettes there was a gentleman [Bruce Wallace] that was also the choreographer for Luther. He invited me to come down and audition, because Luther was trying to replace one of his background singers, Tawatha Agee, who was with Mtume, who had a song called ‘Juicy Fruit.’ Remember that? It was a huge hit. So I had the opportunity to audition. “I remember walking into the room with Luther and just feeling that I was around a master teacher. He was just so patient and so focused. He knew exactly what he wanted me to sing. For me it was like being in a playground. Just from the first day, I fell in love with him, with his spirit. “Through the years he would share different music with me. He would listen to my demos, or when I would do background sessions between tours to make ends meet. I would share stuff with him. And he would mentor that way. He would mentor just with his excellence. He would be involved in every aspect of his career down to the last bead on the dresses that were sewn on to the gels in the lights onstage. Everything. The sound. What people played. How you moved. When to turn your head. What to feel, what to think. 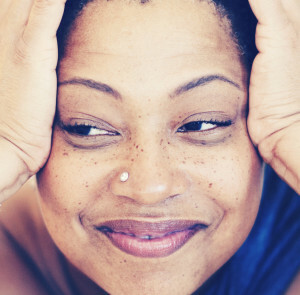 Fischer was enjoying a successful career singing backup with Luther and with other artists, when she seized the chance to record her first—and only—solo album, “So Intense,” in 1991. It yielded a No. 1 R&B hit, “How Can I Ease the Pain,” and earned Fischer a Grammy. But, to the puzzlement of her many admirers, Fischer declined to release a follow-up. Instead, she chose to return to her role as a background singer. She has no regrets. In addition to touring with the Stones since 1989, and with Tina Turner since 2000, Fischer also has worked with Sting, Chris Botti, and, most surprisingly, Nine Inch Nails. “It’s definitely a unique experience working with each one,” Fischer said. “None of them are the same as far as what you have to bring to the table. Because they all sing so differently, which is why they are the great artists they are. They’re all unique. And they’re not afraid to communicate what they need. Even if they don’t know what they need they’re not afraid to communicate that as well. It’s a testament to their strength and their trust. What has she learned from working with these great artists? From Tina Turner, for instance? And now with the attention generated by her appearance in “20 Feet From Stardom,” Fischer is positioned to exercise her own freedom as an artist however she chooses. And might it lead, perhaps, to this background singer par excellence stepping into the spotlight to finally make another solo album? 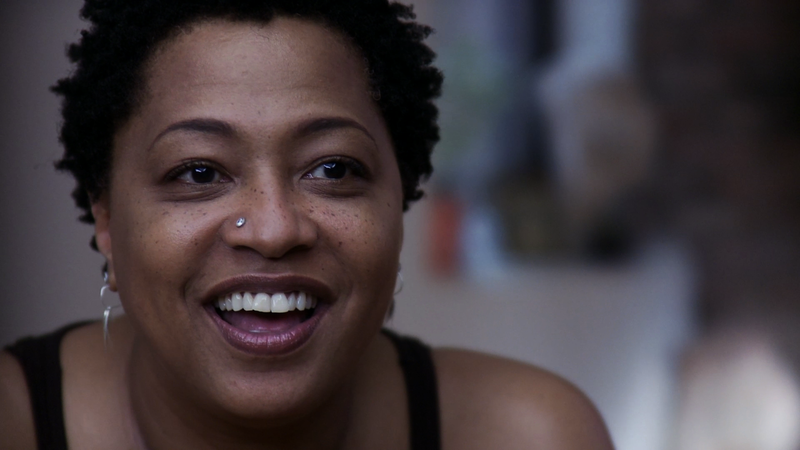 I’ve lived Lisa Fischer for a long time and have seen her perform over the years with Luther Vandross and The Rolling Stones. She voice and personality are magnetic; she just draws you in. What a great talent . Great article.